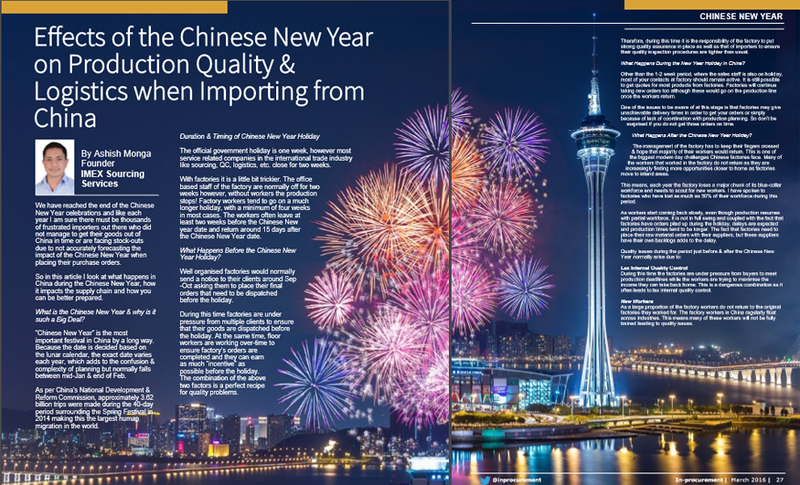 In this article, Ash looks at the logistics situation in China during the Chinese New Year period & how it impacts the entire supply chain, especially in regards to “delivery times” & “logistics costs”. Being aware of the logistics situation during this time of the year is important for importers not only because of delays to shipments but also because new importers are often surprised at the steep freight rate increases during this period. 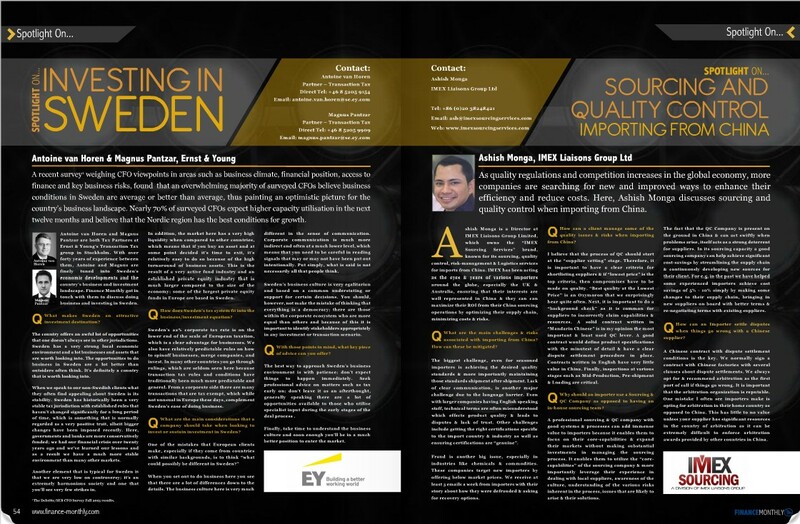 Here, Ash discusses sourcing and quality control when importing from China. This includes the main challenges & risks when importing from China and how these challenges can be mitigated;QC issues most of his clients face, how critical it is to use a Sourcing & QC company when importing in China and how to settle disputes when things don’t go exactly as planned with a Chninese supplier. Download: Magazine available for download simply visit the original link.